We offer a unique variety of coffee, tea, and tablea options at our cafe! Most notably, our Philippine imported items. Read below to get more information. Directly imported from the Philippines, Barako has the extra bold flavor that wakes anyone up from the sleepiest mornings. Our Barako is the pride of Batangas province, named after the distinct flavor of its indigenous variety. It is a full-bodied blend with fruity undertones. It belongs to the species Coffea liberica. At our shop, we serve french pressed barako as well as Americano-Style single cups.  Ninong’s is proud and privileged to be a seller and distributor of this unique coffee! To purchase our famous Barako by the bag, shop now! Literally translated as “chocolate tablet” that pretty much describes what it is! Our tablea is made from 100% pure cacao beans and is much stronger than most typical hot chocolates because we use the entire bean versus just cocoa powder. It’s is great for fellow dark chocolate lovers! We serve our tablea 2 ways: as a shot (the traditional way) and latte-style (with sugar and milk). Ninong’s has a variety of great tasting teas that have added health benefits. These teas are directly imported from the Philippines. Our teas can be found and purchased in our shop section. Traditionally, Filipinos have always revered the Ampalaya fruit as an excellent source of vitamins and minerals. Its leaves have been used as a topical treatment for skin diseases and wounds. When drank as tea, Ampalaya works wonders for sufferers of liver problems and diabetes, as well as for body detoxification. Long since used herbal weight-loss products, Banaba is known for its effects on controlling glucose in the blood. This makes it ideal for diabetics and hypertension patients and people with kidney problems. Its purgative properties also help in expelling abdominal toxins. Perhaps the most popular benefit of Ginger is its ability to sooth throat soreness and help in the treatment of colds, flu and other viral infections especially in the upper respiratory system. On top of this, Ginger is also effective in preventing motion sickness and in detoxifying the blood stream. Primarily, Lagundi tea is one of the most potent natural cough syrups known to man. Its analgesic, expectorant, antihistamine, antipyretic and antitussive qualities make it ideal for treating virtually all types of coughs and is even known to aid asthma patients.